Even as a child, his talents and abilities stood out and the Moroccan Rabbanim called him “Holy From the Cradle.” He studied at Yeshivah Keter Torah headed by his Rebbe, Harav Yitzhak Tzaban, zt”l. He was an outstanding student, known for his steadfast learning, his outstanding grasp of Torah and his unusual talents. He advanced in the yeshivah until he was appointed Rosh Yeshivah. In this position, which he held for many years, he developed many outstanding students, some of whom currently serve as Rabbanim and dayanim in Sephardic communities. In Morocco, leaders of the Casablanca community took note of the outstanding young scholar and chose him to be Chief Rabbi and head of the beis din for Casablanca and all of Moroccan Jewry. Serving in this post for 35 years, he was an outstanding leader before whom all halachic problems from throughout Morocco were brought. He was well loved by both Moroccan Jews and gentiles, and he was close to Morocco’s King Hassan. When a search was launched for a Sephardic Rav for Yerushalayim to serve with Harav Bezalel Zolty, zt”l, the city’s Ashkenazic chief rabbi, local leaders decided to ask Rav Mashash to immigrate to Eretz Yisrael to be both the Sephardic chief rabbi and head of the beis din. He agreed, and moved to Yerushalayim where he lived until his petirah. In 2490, Yehoshua led Bnei Yisrael across the Jordan River. As they approached the river with the aron kodesh carried by the Kohanim, the river split for them. After the crossing, Yehoshua erected 12 monuments in Gilgal. In 5703/1943, Hungarian Jews were forced to begin wearing the infamous yellow Star of David under Nazi occupation. 2489, Miriam Hanevia, at the age of 126. At her petirah, the well from which Bnei Yisrael drank in the Midbar dried up; but it was restored in the zechus of Moshe and Aharon. This well is located today in the Kinneret (Maseches Shabbos, Daf 35). In Shulchan Aruch Orach Chaim 580:2 it states that today is a Taanis Tzaddikim in commemoration of her yahrtzeit. 5440/1680, Harav Shmuel Shmelke, Rav of Ostra’ah. Rav Mashash published many sefarim including She’eilos Uteshuvos Shemesh Umagen, Mimizrach Shemesh, and Tevuos Hashemesh. He was an erudite author who wrote on all facets of the Torah. Despite his mastery, he never rushed to issue a psak but would spend days and nights reviewing relevant halachic rulings. His davening was awe-inspiring. He pronounced each word as if he was counting his money. 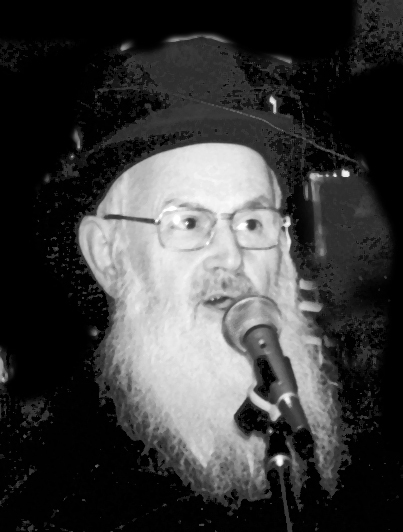 Rav Mashash distanced himself from discord and politics, and strove to be in harmony with Yerushalayim’s various communities. His Torah activities continued until his petirah. In the last week of his life he completed writing his work Vecham Hashemesh. In 1892, the General Electric Company was organized. In 1899, Thomas Edison organized the Edison Portland Cement Company. In 1923, insulin became generally available for people who have diabetes. In 1994, the World Trade Organization was established.